This classic Brasilia Modernist Circular Bangle was inspired by the free flowing curves of Brasilia; the capital of Brazil designed by Oscar Niemeyer. 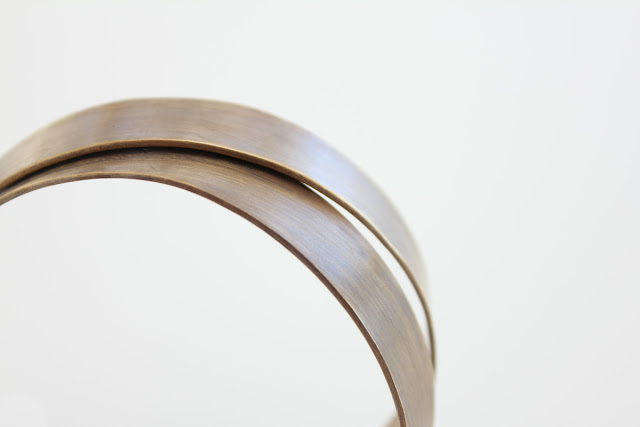 Curved bands of burnished brass are fused together at slight angles to create a casually elegant bangle. The Brasilia Modernist Bangle has a warm, lightly antiqued finish. Its beautiful sculptural shape resembles a contemporary sculpture. 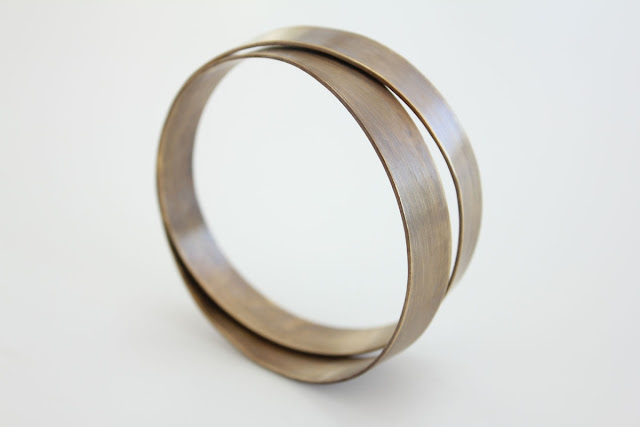 The Brasilia Bangle is art you can wear; kind of like the contemporary Arc Sculptures by French artist Bernar Venet; the perfect accent for everyday use.